The following post on medical preparedness is contributed by Pete Farmer, who holds advanced degrees in research biology and history, and is also an RN and EMT. If you are in the process of preparing for future medical contingencies, a critical step is to recognize that no one possesses all of the medical scientific knowledge necessary to survive and thrive in a disaster scenario. The explosion of new knowledge in medicine and the life sciences over the last quarter century, to say nothing of the revolution in bioengineering and computers, has assured that no one person can “know it all” concerning human health, medical diagnosis and treatment, and so much else. Once you’ve acknowledged your limitations, what comes next? One could do worse than build a high-quality collection of medical and scientific references. Please note that collecting the books and media alone will do little to get you ready in practical terms unless you study them diligently, and put the knowledge you have learned into use. Also, do not substitute books for contacts; build your medical network at the same time as you build your library. Both are vital. So, without further adieu, here are some recommendations. Basic science textbooks – this recommendation is open-ended, depending on your level of scientific education and training, which you will have to determine. I recommend current college-level texts in general biology, general chemistry (inorganic and organic) zoology, anatomy and physiology, microbiology, and cell biology/biochemistry. Reputable college texts in physics and statistics are also valuable. Choose appropriate computer-based substitutes as feasible. Drug Reference Guide – A current copy of the PDR (Physicians Desk Reference) is a cornerstone of the medical caregiver’s library. The PDR, published annually, collects drug package insert and manufacturer prescribing information in a single volume. It is published in professional and lay (general readership) versions. The professional version is accessible to motivated general readers with access to a medical dictionary. The PDR is bulky and may be too-advanced for some readers, and consequently you may favor a portable reference such as a drug guide for nurses. Excellent volumes by Mosbey and other medical publishers are available at chain bookstores, on the internet and elsewhere (university medical, nursing, and health sciences booksellers will have these works also). There is also a PDR for non-prescription drugs, supplements and herbs, for readers so inclined. Medical dictionary – You’ll need one, trust me, unless you are already a physician, and even then – you may still want one. First Aid – Responding to Emergencies – Published by the American Red Cross, this volume is recommended for those seeking knowledge of BLS (basic life support) and first aid. An EMT-B manual or text would probably also fill the bill here as well. U.S. Army Special Forces Handbook – A concise field guide to the many contingencies a special forces medical NCO might encounter while on duty, and a very good reference for anyone who may have to deliver medical care under less-than-optimal circumstances. This guide, now somewhat dated, has been superseded by the newer Special Operations Forces Medical Handbook, which is illustrated and features contributions from some 80 military and civilian authorities (not yet reviewed by this author). Where There is No Dentist – Murray Dickson. 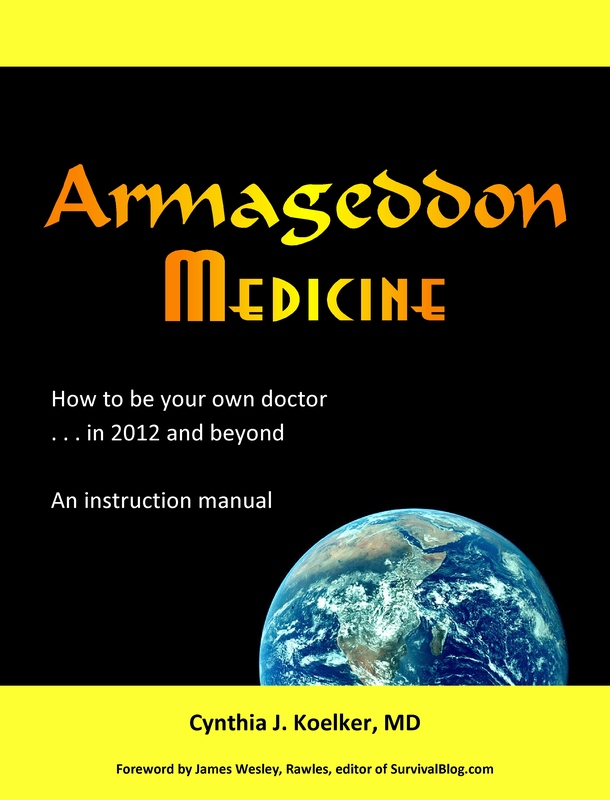 This volume is a classic of expedient dentistry, well-regarded by medical preppers for many years. Written for the lay person in clear, straight-forward language. Where There is No Doctor: A Village Healthcare Handbook – Jane Maxwell. This highly-respected work is the medical counterpart to the above volume. A classic of its own. The Merck Manual of Diagnosis and Therapy – Well-used by physicians for many years, this is a classic standard text. It may be tough to tackle for lay users. Medical Corps (http://www.medicalcorps.org/) – Medical Corps, run by former U.S. Navy corpsman and Vietnam veteran Chuck Fenwick, teaches operational medicine workshops. His website has a page devoted to references – books, audiovisual materials, etc. Among the best references mentioned on the site is a DVD entitled “Operational Medicine,” by Michael J. Hughey, MD – which is a very complete resource on operational medicine, field medical care and public health, and related issues. Though it isn’t cheap, this DVD is worth the money provided you have a laptop or PC on which to play it. Dr. Hughey’s website is at: http://www.operationalmedicine.org/about_us.htm. 101 Ways to Save Money on Healthcare – Cynthia J. Koelker, M.D. You didn’t really expect me to leave this useful and very readable book off of my list, did you? This handy book is filled with tips on how to make the most of your healthcare dollar, and many of its suggestions apply equally well to survival medicine. Dr. Koelker has an upcoming book , so watch this space for a heads-up when it is available. In addition to the above references, I would recommend reading some non-fictional, biographic, or autobiographical works on medical care – whatever interests you. These will give you some insight into the challenges healthcare providers face in the real-world. Pick up a book by a physician, nurse, paramedic, military or civilian – and prepare to have your eyes opened. There are also some remarkably realistic and well-done films depicting trauma care in battle – from “Flags of Our Fathers” to “Blackhawk Down” and many others. Whether you are a newbie or an old hand, these will prove education and entertaining both. Of special note concerning trauma care, I was very impressed and quite moved by “On Call in Hell,” by LCDR Richard Jadick, D.O. – who served as a U.S. Navy battalion surgeon during the Battle of Fallujah, Iraq. He and his team of corpsmen saved lives under the most trying circumstances imaginable. Unfortunately, I have not yet read Dr. Paul Farmer’s (no relation to the author) volume on medical care in the developing world, but I hear it is quite good. Please note, in addition to the websites and references mentioned above, this article was prepared in part using works listed/mentioned on SurvivalBlog.com, the superb prepping website by James Rawles. This entry was posted in 101 Ways / Health Care, 101 Ways to Save Money on Health Care, Books, Bookshelf, Contributors, Education, Medical archives, Perennial Favorites, Pete Farmer, Save Money and tagged Health, Health care, Healthcare, Medicine, Paul Farmer, Physicians' Desk Reference, Richard Jadick, Shopping. Bookmark the permalink. Here’s a few other books I think folks will enjoy. Common Medical Problems in the Tropics 3rd ed. by Christopher R. Schull 978-0-230-03104-3. It’s a comprehensive reference for use by health care workers in the developing world. It can be used by anyone with basic knowledge of health care to practice medicine. It provides step-by-step diagnostics and management. Village Medical Manual by Mary Vanderkooi, a 2-part volume 978-0-87808-748-8 that is similar to the previous book. A great reference for EMTs and RN’s who suddenly find themselves being looked at as the doctor. This set has a lot of great tables and algorithms to guide you through decision making. When There is No Doctor by gerard s doyle. 978-1-934170-11-3 – a repeat of what you can glean from various websites. It’s a good book to hand to someone who does not know that they need to understand medicine to get them started. It’s cheap but don’t expect a lot of new info. Care of the Critically Ill patient in the Tropics and Sub-Tropics by Watters, Wilson, Leaver, Bagshawe, 0-333-53799-8. This is the base reference on running ICU level care in resource-poor environments. Simple language is used for folks with limited training or English multiple improvisations and homemade stuff. This book walks you through the care of the critically injured patient. My copy is from 1991 and is a little dated but the fundamentals don’t change. I think there may be a newer edition. War Surgery in Afganistan and Iraq by Nessen, Lounsbury and Hetz. 978-0-981822-80-8. This book writes up war trauma cases and surgical management. It is state of the art as it reflects new info from just a few years ago. It covers management from foreward surgical teams to definitive care. Lots of good pics. This book is kinda cool for me, as I was in Iraq with Hetz and recognize some of the cases. Neurosurgery in the Tropics by Rosenfeld and Watters 0-333-68412-5. Written for health care providers in remote health care facilities without neurosurgery and/or evac. Easy to read guide that alows lifesaving treatment is austere settings with basic tools. While CT and MRI are covered, it presumes you don’t have one. Where There is No Doctor is a super-basic, not comprehensive text the works well as a lesson plan for teaching to the smartest illiterate guy in the village. You may find it to simplistic or you may find it’s a good start based on your knowledge level. It emphasizes the basics like preventative medicine that can be valuble to train others in who are used to the luxuries of the first world and find themselves with no power or hot water. 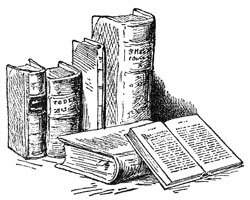 A list of books you might want to have/read/study before bad times happen. 1 – Get the Red Cross 1st Aid manual. Remember – a book – a healer does not make. ALL of the following books are in use over the world by those who are not necessarily trained in surgery to perform any number of surgeries. These 3 books are in the “Buy these to round out your already extensive Medical Library” category. They are a bit pricey. The wikipedia source for copy/paste into Word/Print is incomplete. One additional book suggested by one whom I know to be knowledgeable. I do not have the book nor have I read it. It is on my list to get books. You may want to change the blurb about the original SF Medical Guide. Here are 3 good substitutes and quotes concerning the “Out of Dateness” of the SF Medical Guide. As a FYI – I’ve read/studied and in some ways used info from all 3. Try to get the companion CD – the videos and pictures are worth the effort. I have both (including the 1st edition companion CD). The 1st. has stuff the 2nd does not have. The 2nd. has stuff the 1st does not have. If you can afford it – my opinion – get both. “That manual is a relic of sentimental and historical interest only, advocating treatments that, if used by today’s medics, would result in disciplinary measures,” wrote Dr. Warner Anderson, a U.S. Army Colonel (ret.) and former associate dean of the Special Warfare Medical Group. Thanks, WB. I have not had a chance to read or review each of these resources, so input from readers who have is most welcome.